The text helps define the second electromagnetic course that electrical engineers take in their senior year. 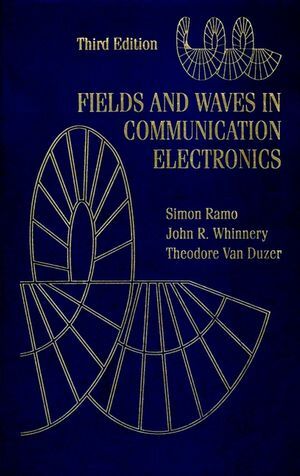 This rigorous book on engineering electromagnetic fields and waves topics is packed with useful derivations and applications. Very well known text and authors. Simon "Si" Ramo was an American engineer, businessman, and author. He led development of microwave and missile technology and is sometimes known as the father of the intercontinental ballistic missile. He also developed General Electric's electron microscope. John Roy Whinnery was an American electrical engineer and educator who worked in the fields of microwave theory and laser experimentation. Two- and Three-Dimensional Boundary Value Problems. Waveguides with Cylindrical Conducting Boundaries.